More sweater knitting for the end of summer. 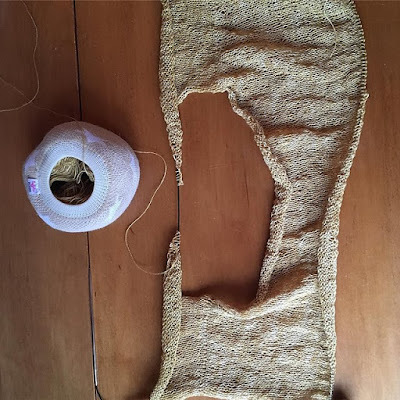 Two kinds of linen and a cotton/llama blend--we're trying all the fibers! We also talk about organizing strategies for the transition into the school year. And big news! There's a new website with a shop! 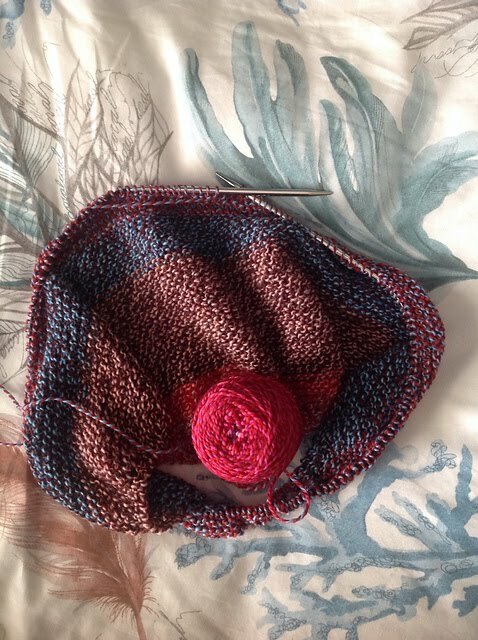 Marsha has started a new shawl with her Stonehedge Crazy! The yarn is fabulous. The shawl is the Among the Shadows and she is making it for the second time. Marsha has also finished her sweater using the pattern 221 Summer Cardigan by Diane Soucy. 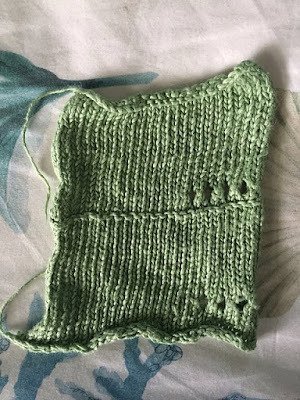 And since she has finished one sweater, she is ready to cast on another using the linen that she has been swatching. After swatching the linen biased so she is looking for a pattern that will mitigate the tendency to bias. Kelly has finished very little. One Mother Bear and one swatch of handspun are all she has to show for two weeks. The swatch will be submitted along with her county fair entries. It is a precursor to the Orca Run sweater that she has planned once the fair is over in September. She has started a new linen tee since the last episode. She is making the Summer Fjord and the construction is really interesting. The Two Ewes have a new website with a shop! The blog and shownotes will be on the new site as well as a shop with yarns and fibers from their fiber adventures. More details in the next episode! Join in our adventures with new producers and mills. Support the podcast and get something in return! The Two Ewes also talk organization. Kelly celebrates New Year when school starts in the fall and gets structure and organization back into her life. Calendars and steno pads are her main supplies for organization. Want to get the podcast automatically? Subscribe on Apple Podcast, Stitcher, Google Play Music, or even YouTube. Episodes will automatically load to your device. Episodes are also announced on the 1hundredprojects Instagram feed and in the Two Ewes Ravelry Group.